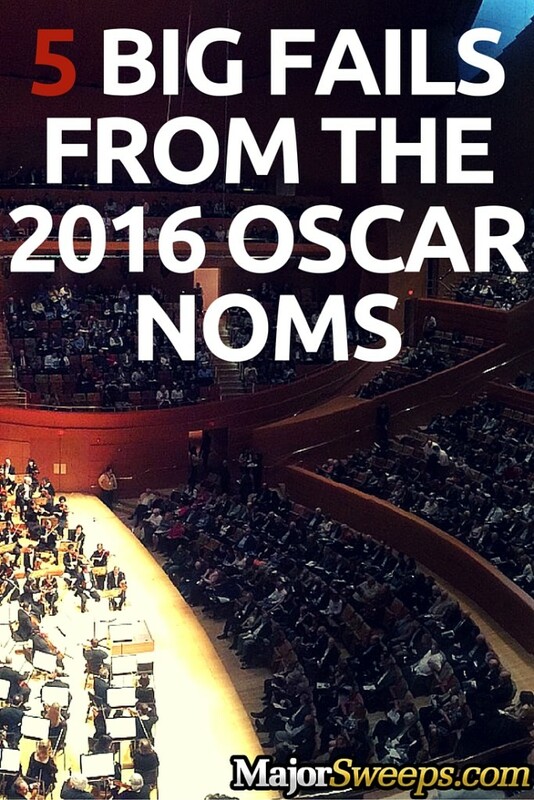 It’s that time of year again – award show season! It’s that time when Hollywood reminds us that rich and famous people are indeed, rich and famous. If you’re still dreaming about some of the swag you saw on the Oscars red carpet, enter this sweet $10,000 prize sweepstakes for your chance to win big! Stallone gets a nomination but Michael B. Jordan doesn’t? Last year’s Creed might have been the number one movie we’d expect to stink (I mean c’mon, another Rocky movie?) but it actually turned out to be really great. Critics and audiences alike were surprised by the compelling story and great performance from leading man Michael B. Jordan. But the Academy must have not been all that impressed, instead nominating Stallone for Best Supporting Actor. What happened to the Best Director noms for Charlie Kauffman & Duke Johnson for Anomalisa? We very rarely see animated films nominated for anything outside animation-specific categories. But if any movie really transcended this barrier it was Anomalisa, a quirky and oddly melancholy movie with clay puppet characters that are so emotive and, well, human that you almost forget you’re watching a stop-motion movie. 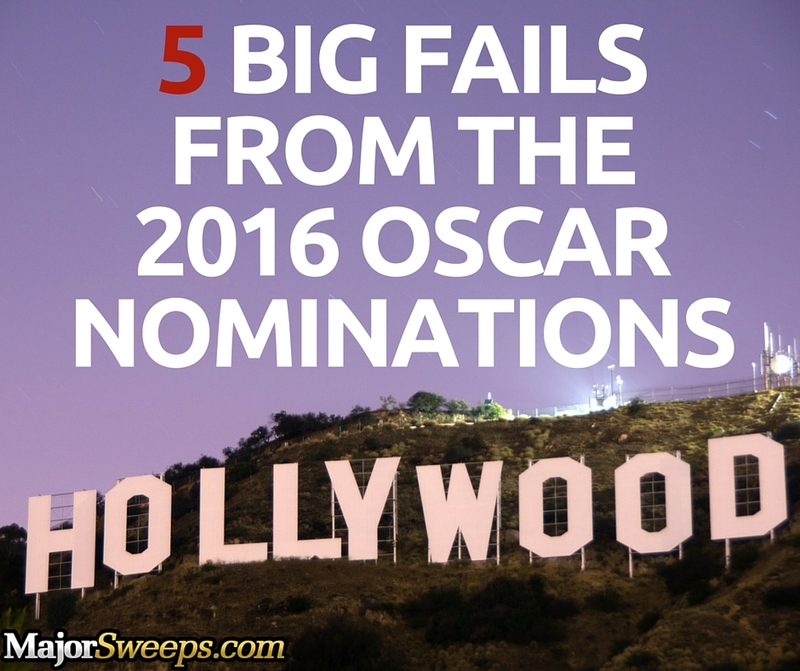 Any director who can do that at least deserves a nomination, in our book! 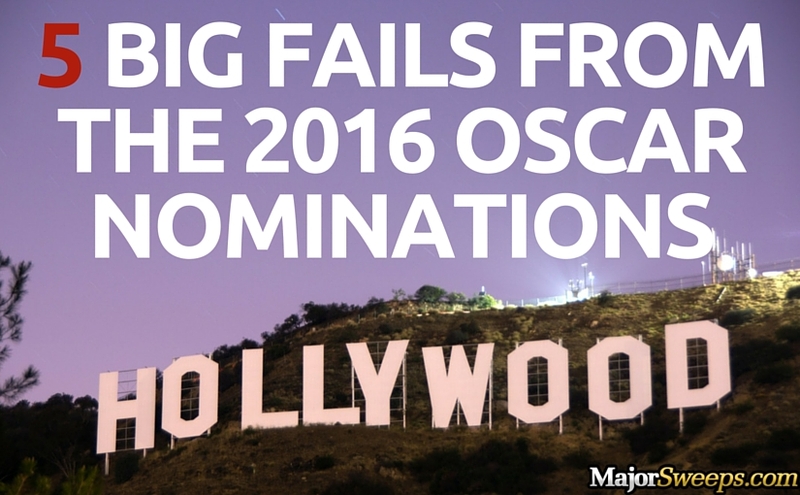 No Best Picture nomination for Ex Machina? Ex Machina was a rather peculiar science fiction (another genre the Academy likes to pretend doesn’t exist sometimes) film that had more to say about lust, consumerism, and the price of freedom than it had to say about androids and cool futuristic stuff. Ex Machina did snag a nomination for Best Original Screenplay. But the whole movie was so strange and original, with such astonishing acting, that a Best Picture nomination would have made perfect sense. Where’s Will Smith’s Best Actor nom for his endearing performance in Concussion? Now we know a lot of people have been complaining about this one, but that’s only because it’s absolutely true. This is easily one of the best performances of Mr. Smith’s entire career, if not the best. Whether or not Concussion is all that good is up for debate, but Smith’s heartfelt performance is definitely deserving of a nomination. Seriously, Academy! How could you not nominate Ms. Meryl Streep for anything!? We’re not even sure if she was in a movie in 2015, but by gosh, she should be nominated anyway. She’s the best actress of all time and any award show without her isn’t even an award show worth watching. Right?!? With all that said, we’re still going to watch the Academy Awards in February, and we’d love for you to join us! In the meantime, click to enter My Daily Moment’s $10,000 sweepstakes and then let us know what you think of this year’s Oscar noms on Facebook!